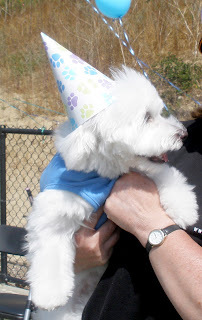 Dogmantics Dog Training Blog: Doggie Birthday Party with Trix! 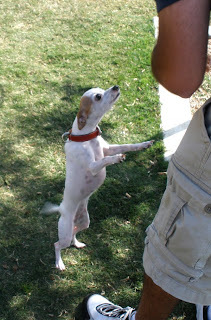 Kiko and I did a tricks lesson at a doggie birthday party at a dog park yesterday. 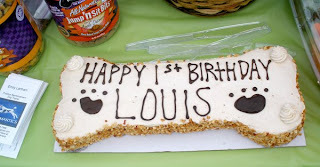 Louis the Maltese turned 1 ! 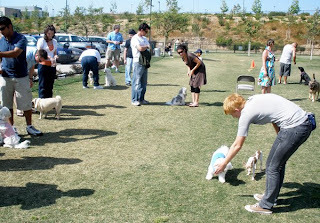 It was loads of fun, and surprisingly not too chaotic, with about 30 dogs off leash. 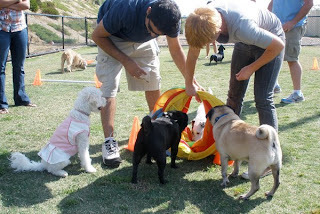 Hootie the Pug won the tricks contest with his awesome version of "Crawl". 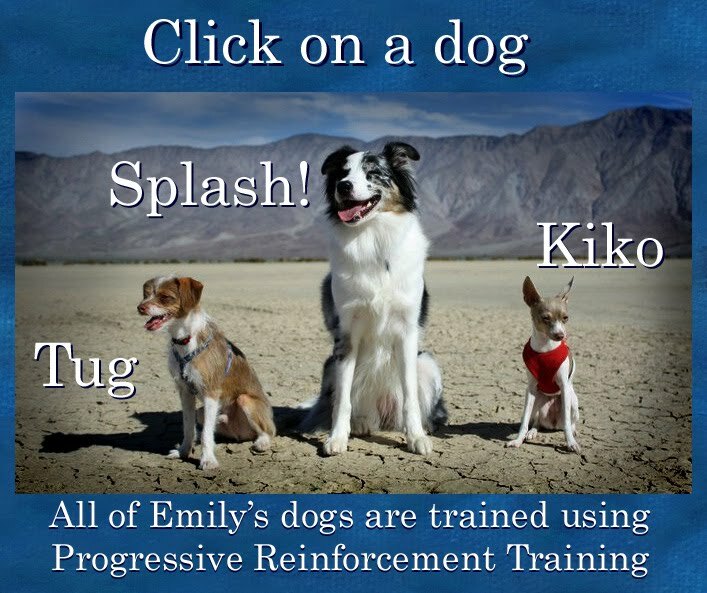 It was a hard to choose a winner as all the dogs in the contest rocked! 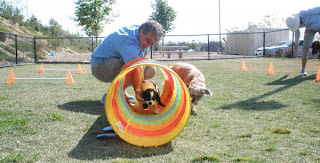 We also did an agility obstacle coarse. 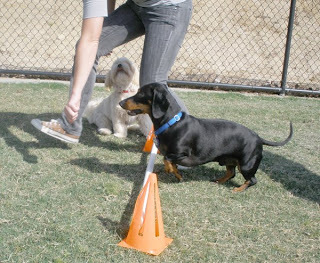 Louis showing everone how to do "targeting"
What a great idea to have some dog training for celebration at the dog park!